stored in the refrigerator. It will be used as one would milk.The water tends to separate out from the blended mixture, so shake before use.No doubt a binding agent can be found with experimentation. 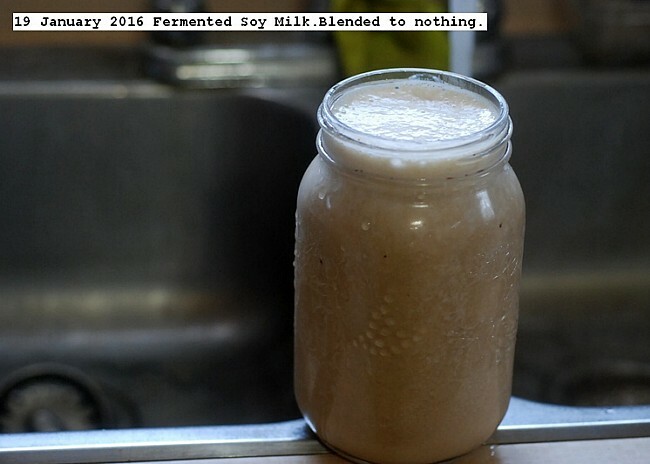 This entry was posted in Uncategorized and tagged 19 January 2016 Fermented Soy Milk, Fermented Soy Milk. Bookmark the permalink.